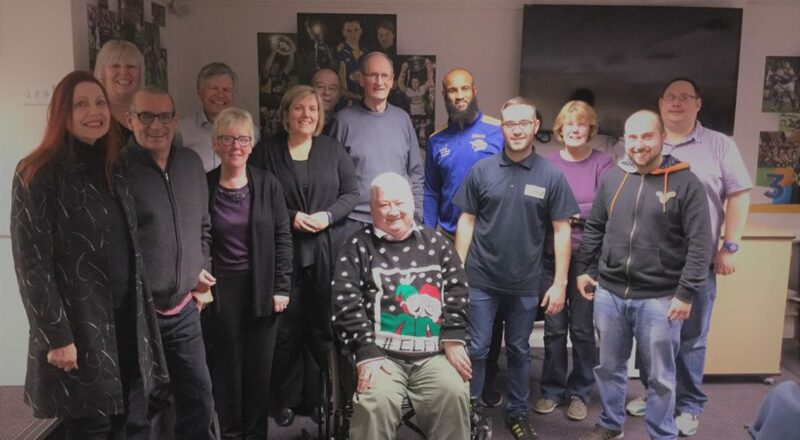 The Leeds Rhinos and Yorkshire Carnegie Fans Forums came together for the final meeting of 2016 which took place on Wednesday 14th December and the Forum members heard from surprise guest speaker, Leeds Rhinos Player Jamie Jones-Buchanan. If you have any feedback that you would like to be discussed at one of the Fans Forum meetings then please email fansforum@leedsrugby.com and this will be discussed at the meetings and published in the minutes shortly after the meeting has taken place. The next meetings will begin in February 2017 and we will publish feedback requests ahead of the meeting. In the meantime you can still send feedback to this email address and we will be in touch. Attendees: Sue Millard, Gerry Alleyn, Alistair Senior, Barbara Senior, Sam Brightbart, David Muhl, Christian Floyd, Jon Williams, Andrea Green, Susie Woffinden, Angela Rimmington Brown, Malcolm Robinson, Ian Waterhouse. career, his childhood, and the work he does across the community. 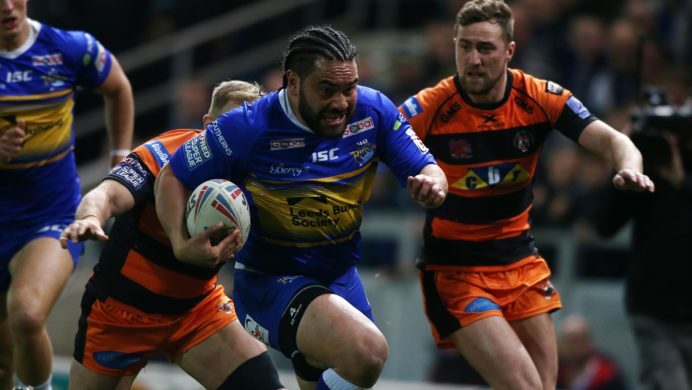 Jamie signed for Leeds Rhinos from Stanningley when he was 15 in 1997. He made his first team debut against Wakefield in May 1999. From then on Jamie battled with niggling injuries but worked hard to overcome them with and by 2002 was back to full fitness and made a great impact on the first team. As a child, Jamie was interested in football and didn’t really follow rugby league. His dream was to be an England Football player and wear the three lions with pride. This changed when he moved house with his family and made friends with the next-door neighbour’s children. They played rugby league and Jamie followed with them and started seeing his talent for rugby league blossom. Heroes and he plays every minute for them and the badge and not for himself. 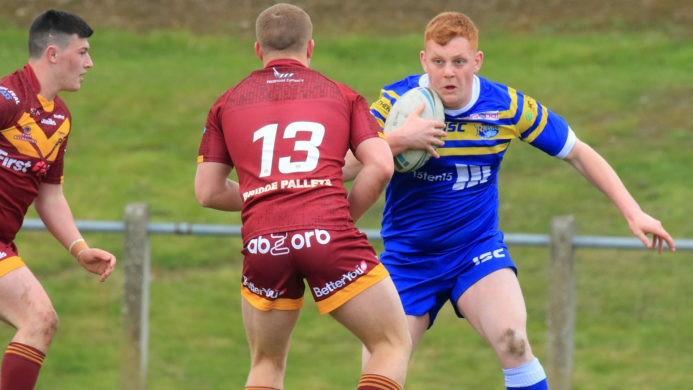 Being part of the Golden Generation at the club has been a proud moment for Jamie and he knows that there are just as many great players waiting to come through and produce that again with the likes of Ashton Golding, Jordan Lilley etc. He cannot say when he will call time on his playing career as it is not something he likes to think about. As long as Jamie is contributing to his team’s efforts over an 80-minute period during a match is the time that he will continue. As soon as he feels he is not giving anything anymore is the time for him to step down and allow the future number 11 to step up! 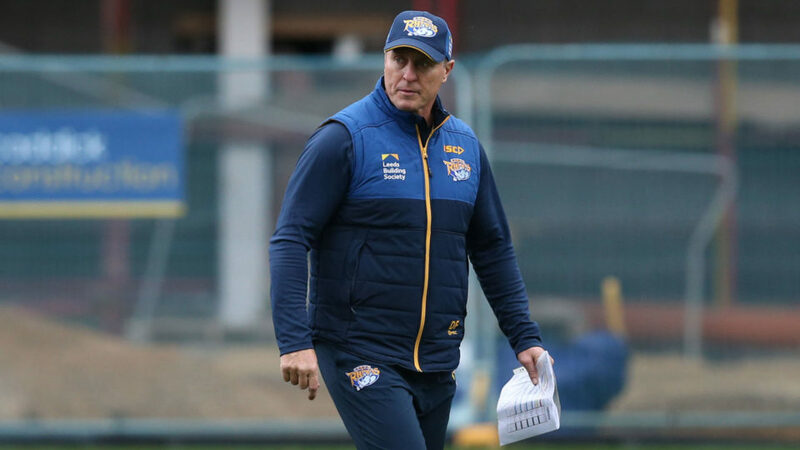 David: I recently read an article about you in regards to developing Rugby AM and Leeds Rhinos TV. Is that where you see your future after playing, within media? Jamie: I remember coming to the end of my school career and being told what opportunities are available to you at that age. I wasn’t sure what I liked or what I wanted to do. I knew I was good at sport but fundamentally people were telling me how hard it was to succeed in sport. The things I remember wanting to do were either an architect or a social worker. I ended up being a successful rugby league player by training hard. When it comes to what I will do after it’s tricky. 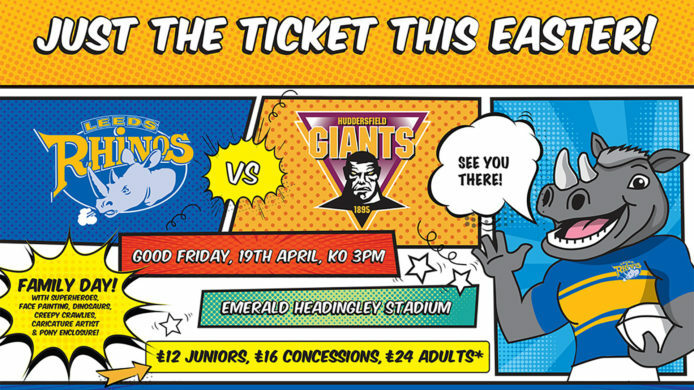 I love to show case rugby league and I do have a passion for working on things like Rugby AM to promote the sport. I have loved the challenges we have faced over the time of being a part of Rugby AM. My one passion is coaching and I miss it. Hopefully when I leave the club I will be able to have a job in coaching and development, that would be my ideal. Ian: You’ve had a couple of years with injuries, how long do you have left playing? Jamie: Being injured in 2015 hurt inside and made it a very tough time for me. I would never pass that disappointment on to others at the club because it is about the club and not the individuals. 2016 came and I feel great. I was playing 30 games on the trot and bouncing back. The contrast has completely switched. I go from not playing to playing every match when I can. 2 Hamstrings, both calves and a bicep tear is a lot of injuries for one player to have had. But my strength as a kid and still now is stamina and being able to push through. As much as this is a strength I need to be smarter in the way I play and use my head to know when I can and cannot do anymore so I am not pushing myself to the limit. I want to get to the end of 2017 in good form. As long as I am contributing to a game I will always play. Sian: Would you ever go and play Rugby Union? Jamie: I have never played Rugby Union in my life. I respect the sport a lot and believe there is more science behind it for the forwards. I am too old to be learning that sort of science. I know we have had some players cross over to union and I have always watched the sport. I went to the Six Nations last year and it was amazing. The atmosphere was incredible. I couldn’t believe how silent it went when they set up for a goal kick. So, I don’t think it is something I will try out. Alistair: If you could make one rule change what would it be? Jamie: Based on this past year, you must play the ball where you are tackled. Brian McDermott and I couldn’t get our heads around it this year. When you tackle someone and the rules are that the ball should be played at the spot where the tackle happened, if it is played at another point it means that we can give away penalties and advantages more. Sam: As a younger Rhino, who mentored you? Jamie: Barrie McDermott gave me lots of bits of advice. On my debut, he asked if I was playing and I said yes to which he responded – Were we short! He gave me advice saying not to drop the ball otherwise I will not play again! I’ve had some great mentors but the one person I will always look up to is Kevin Sinfield. I met Kev when I was a young kid and wanted to win everything. I went around the Yorkshire League teams and I played against Lancashire and realised I wasn’t as good as what I thought when I saw Kev play. He was strong, skilful and had everything. He always had the best boots, kit etc. I always thought I will never beat this kid he is too smart and skilful. One thing I did think was if I could learn from him I will go far and he would be able to take me on a journey and that is what happened! Whenever you look at historical moment throughout my career it’s like Where’s Wally, Kev will be there with the trophies in the for front and I will be somewhere in the background. I also can say that Pastors at Church have inspired me, Chris Gibson, and Gary Hetherington at the club too. All my coaches have been great, I have been lucky with the coaches I have had! Barbara: Who was the best overseas player you’ve played with? e played alongside would be David Furner. He is mentally tough and a great player. He used to cheat at everything in training though when we raced etc. He was just always so clever. The one player from overseas who I have played against must be Sonny Bill Williams. He is just world class! Sam: Last year when Kevin Sinfield came to our Forum meeting he said he would put you forward as a coach for the team. Would you consider it? Jamie: I used to think it would be too hard to coach the team with how emotionally attached to the club I am but now when I sit back and think about it I would do it! If someone said Jonesy our going to be the next coach I would love it. Great to have the soup option in the Café bar at the Friday night game on 18th, but it wasn't advertised anywhere even on the counter. I took a picture of the menu shows that even the menu only says " Main meal option" and "vegetarian option” and doesn't even detail what they are. I only got soup because I specifically asked for it. Sian: I will be reviewing the menu and how it is advertised for the next match. We will make sure that there are all the relevant options listed and that it is not just a generic ‘Option 1’ and ‘Option 2’ listed. There is still no acknowledgement for the fans from the majority of the players at the end of matches. This only needs to be brief i.e. turn around and clap/wave, but not having anything is disappointing. Sian: I have spoken with Bryan Redpath about this. It is something that I will keep pushing to happen after every match. At the next game, I will make sure that the players acknowledge the fans before they leave the pitch and hopefully this will carry on. We have all read about the London Welsh liquidation situation and court case on 12th December – given this was adjourned until January do we know yet what this means for the fixture on New Year’s Day? 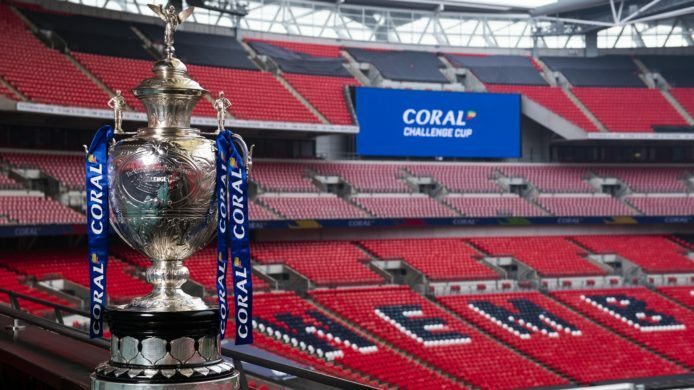 And although our ambitions lie in the Premiership, in the meantime we are in the Championship, are the club engaging with other championship clubs and the RFU about the future of the Championship? Sian: As it stands the fixture is still on. Until we have confirmation of it being cancelled we will go ahead as usual. This will be updated on the website and all social media platforms if there is to be a change. We love the merchandise through X Blades and it is great quality. It is however quite expensive will this change? Sian: We must manage our margins as best as we can with our merchandise across the company. For us to get in the stock we have to get smaller numbers so that we can make sure we sell the range we get in. With this it means that the prices for the stock are quite high due to the quantity that we order. We do try and do a few sale items on occasions and will do some offers where we can. There are less Yorkshire Carnegie videos coming from out. We’re only getting Brush’s post-match interview and highlights. No pre-match amble from Brush nor before and afters from players. Any reason? Sian: We will always aim to provide post-match feedback videos after the matches – the Richmond game was the only match we haven’t provided for so far this season and this was due to logistics after the match – Bryan Redpath did one however we didn’t have time to get players. Lack of acknowledgement from the players at the end of the match. Admittedly Jonah did after the Doncaster match but only half-heartedly when no one else did. And nothing since. The young girl I bring can't believe it – she says it'd only take 5 seconds. She loves we can interact with the players (she's also a Rhinos Season Ticket holder) but can't fathom no recognition. Sian: Please see previous response to Susie Woffinden. Just a few comments on the new website. Personally, I am in favour of changing things. The old website needed changing. The Old match reports are good. The new site is much better set out. One suggestion that I would like to make is to do a regular feature on some of the great players that have played for the club such Braam Van Stratan, Diego Albanese and Andre Snyman. Sian: Thank you for the feedback. This will be communicated to our Media and PR department to review and make any changes necessary. The only issue I have is both me and a friend ordered some stuff from the club shop to collect as we wouldn’t be in, however in both cases when we went to the shop, after receiving the email to say it was ready for collection it had been posted out. If it had just been me I would have thought, it was just a one off but as I say this has happened to a friend of mine as well. Just wondered if there was a problem or if we have just been unlucky? The other side of the coin is another friend of mine had to take something back and he said the staff in the shop were excellent and really helpful. Sian: Unfortunately, David you have been unlucky on this occasion. When the email is sent out to say the parcel is in the shop it is once it has left the webstore to go into store. At the time, there will have been a high volume of online orders with our Cyber Monday offer. This will have been an error and posted out by accident. Apologies for the inconvenience. On the other hand, thank you for the great feedback on the experience that was had in the shop. I have been a season ticket holder for a number of seasons now and enjoy the experience very much. However, in the last two seasons I have become increasingly annoyed at the way children are allowed to run around and play with rugby balls at the back to the Carnegie stand steps. Sometimes it is Children who are taking part in the half time games and sometimes it’s just kids of spectators who are allowed to entertain themselves while the game is going on. This is extremely distracting when you are trying to concentrate on the game and all you can hear is kids messing around and rugby balls banging on the concrete. Whilst I appreciate we are trying to build a family atmosphere this cannot be at the expense of the ticket paying spectators who are trying to enjoy the game. The reality is that Children should be supervised by parents or coaches at all times and should not be allowed to disrupt the enjoyment of other spectators. Last Friday during the Bedford game I moved along the stand three times to get away from the noise and kids messing around who were simply not interested in the game at all. Sian: Thank you for your feedback. It has been noted for future matches.